CHECK OUT OUR SUPPORT SMALL BUSINESS SALE! Our Small Business Saturday (thru Monday) Sale starts now! 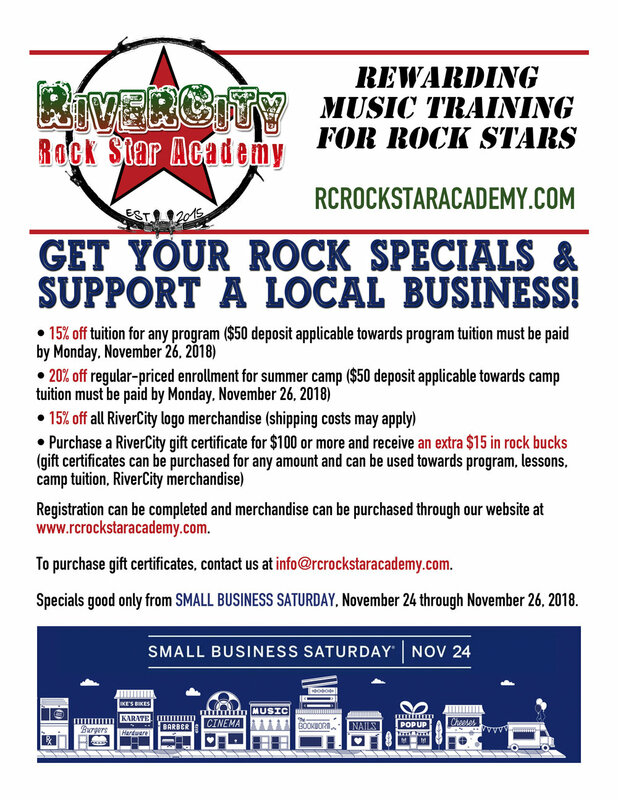 Check out our specials on program*, camp and lesson enrollment and merchandise (at new lower pricing)! 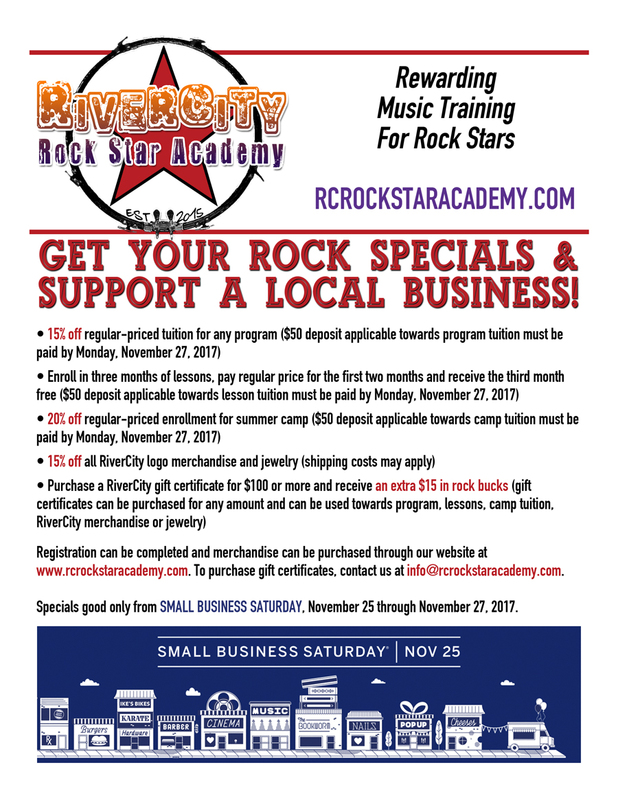 And our 'rock bucks' return with the purchase of a RiverCity gift certificate! *Currently enrolled students are either eligible for 15% off regular tuition or can lock-in to their current tuition rate, whichever is the best savings (with program enrollment and $50 deposit, applicable towards tuition, by Monday, November 27th). Enroll and complete deposit requirements here. Thank you for your continued support of local music!